It was one of those #YOLO moments where a vegan cupcake and partying with my cousin that I never see collided with one another to create a calorie-intake nuclear bomb explosion of awesomeness right there in St. Augustine beach. I did resist the bread though, and those pickled shrimp things with capers and peppers? Amaze-balls. Basically.. it was worth it. I don't plan on cheating again though. 10 more days. 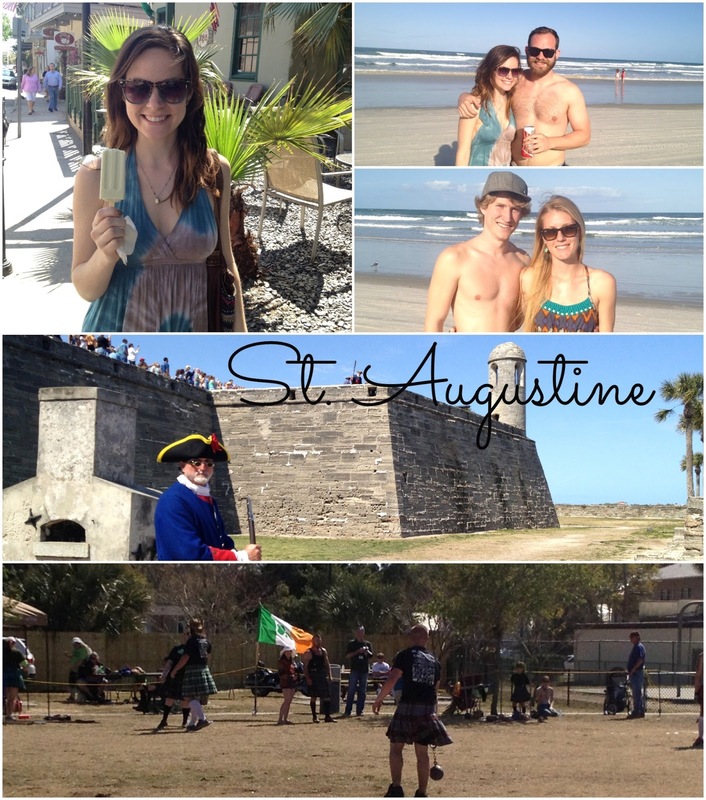 The rest of the day was filled with a Celtic Music & Heritage Festival, hanging out at the fort, eating gourmet popsicles (mine was avocado and coconut! yummm), playing on the beach and bar hopping with my cousin and some other friends we managed to collect along the way. The night even ended with a bonfire. I now have a sunburn, a cold and a bit of a guilty conscience, but again, it was a perfect day, with perfect weather and perfect people. I'm marking that down as a win (and another item crossed off the FL Bucket List). GAH i always love your weekends. they are legit perfect and i want to constantly be a part of them.